Fecon recently introduced the Fecon Rotating Shear, the FRS10. 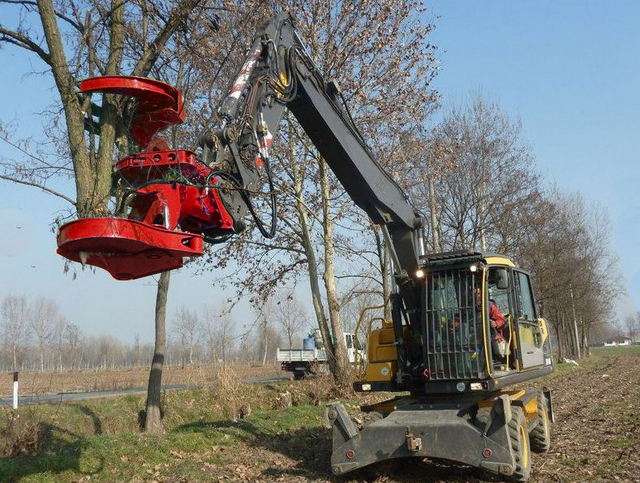 This Excavator tree shear provides 360 degree rotation providing amazing range of motion. The rotation allows operators to save time and be more efficient with less repositioning of the excavator. The FRS provides much needed safety due to the shear being able to load chippers. The FRS10 is for 12-18 ton excavators; cutting up to 14-in. material. You can equip your FRS with an accumulation arm to allow you to bunch smaller material. This Fecon Tough shear is constructed with Hardox in My Body. Be sure to learn about all the FRS models ranging from 5-35 tons! For more info on Fecon, click this link. What are you, chicken?